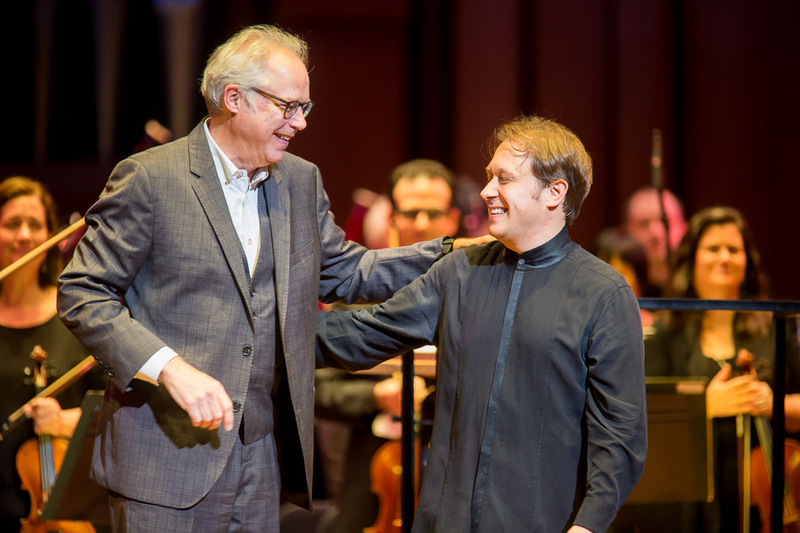 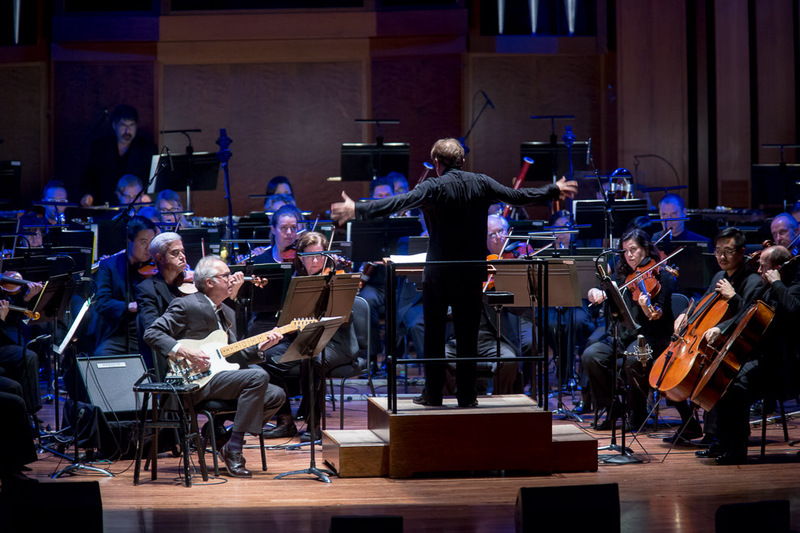 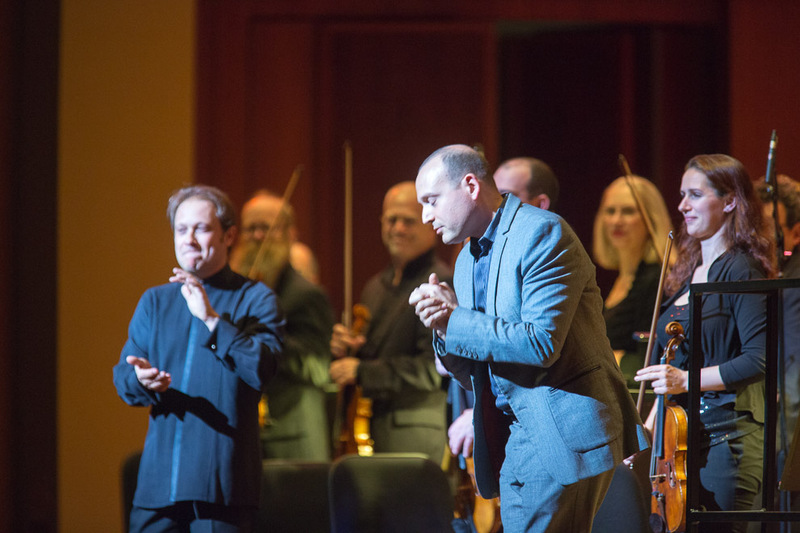 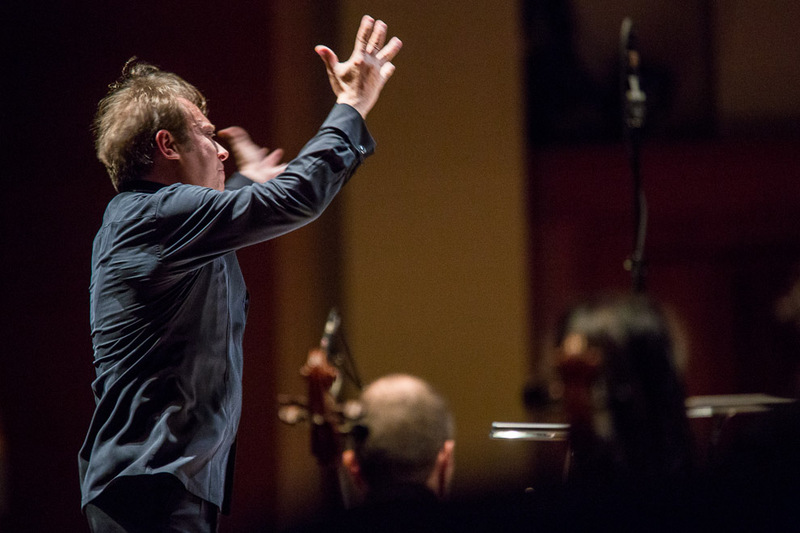 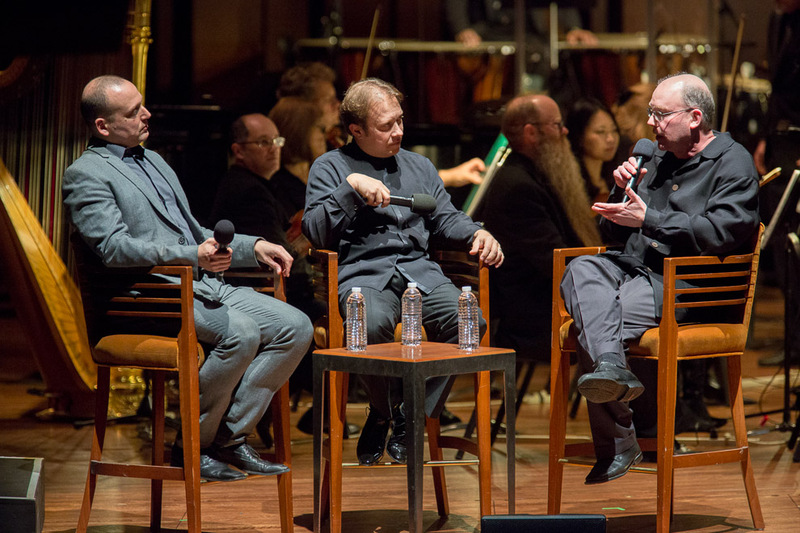 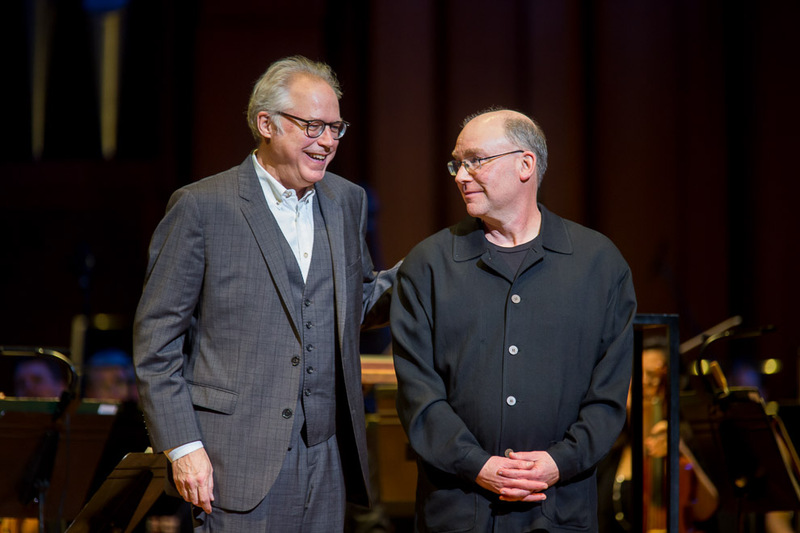 Last night was a most special event at Benaroya Hall. 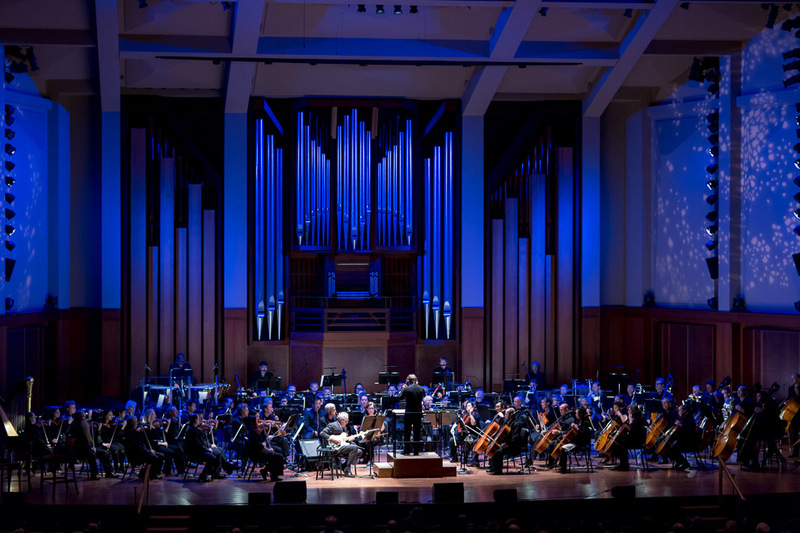 What does the evocative work of African American painter Jacob Lawrence have to do with jazz, have to do with the Seattle Symphony, have to do with the Roosevelt High School Jazz Band? 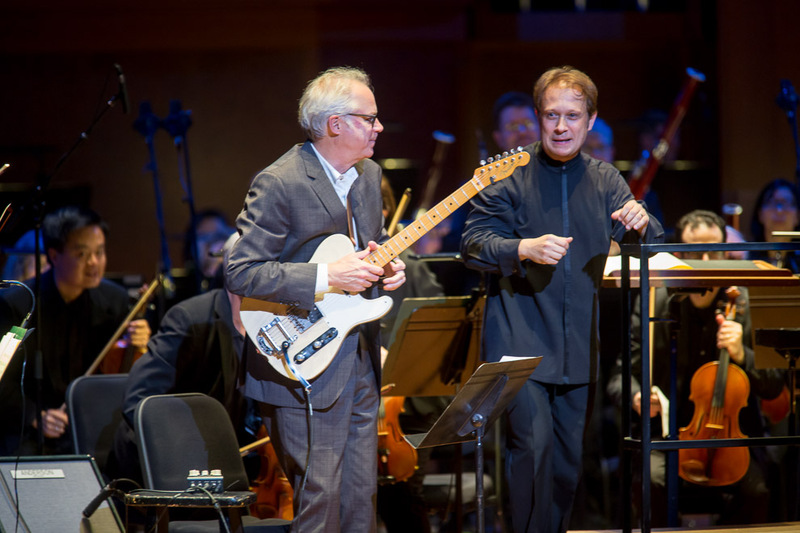 It’s all about influences. 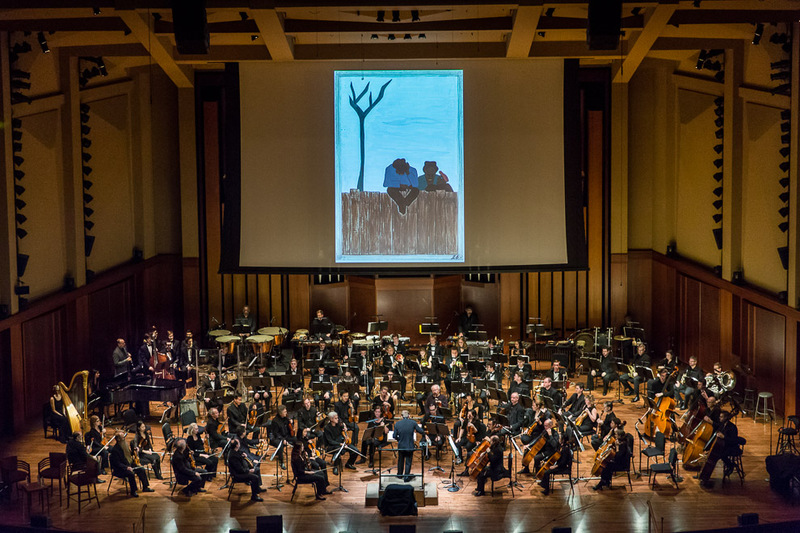 Jacob Lawrence, a longtime professor at the University of Washington, created a body of work called The Migration Series, depicting the Great Migration of African Americans out of the South. 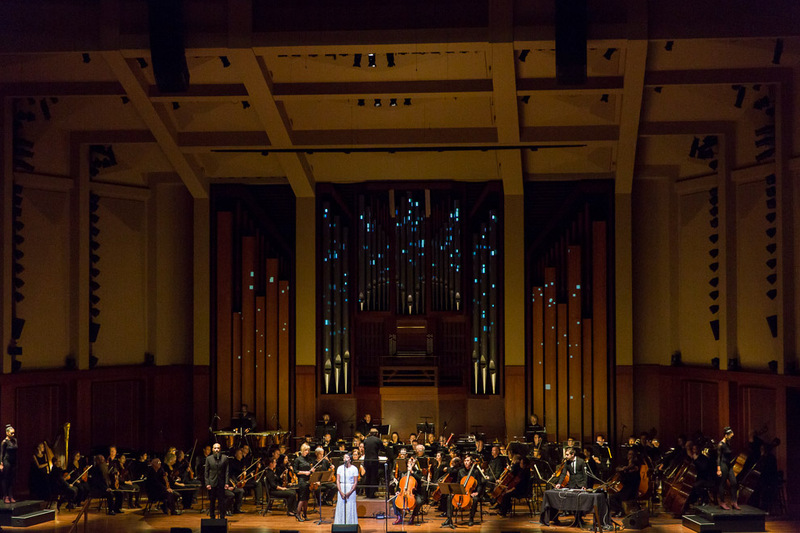 Derek Bermel, a noted composer and clarinetist, saw Lawrence’s work and wrote a piece that was hailed by the New York Times as “riveting” and “wondrous.” Now, add the performers, acclaimed Roosevelt High School Jazz Band and the Seattle Symphony, and you have the cornerstone work for this Sonic Evolution. 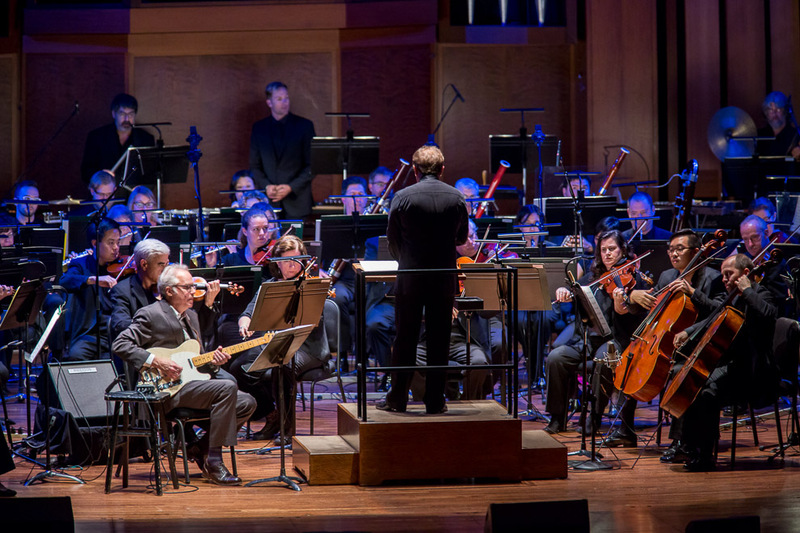 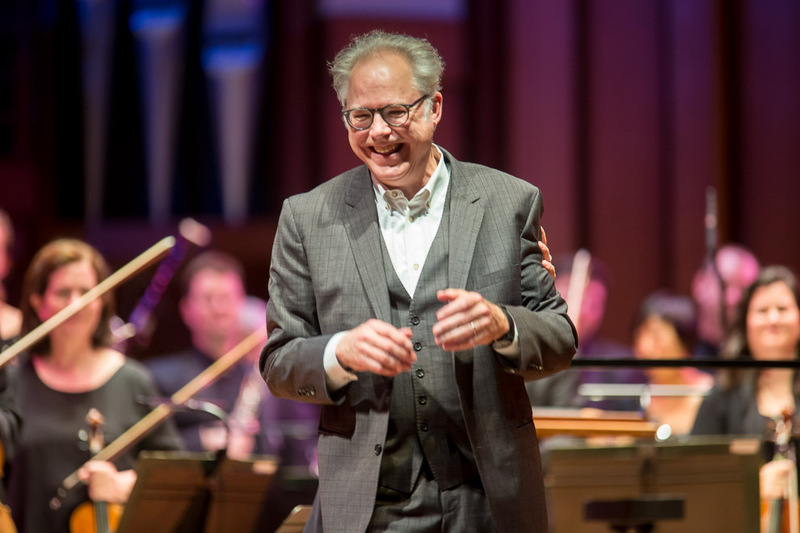 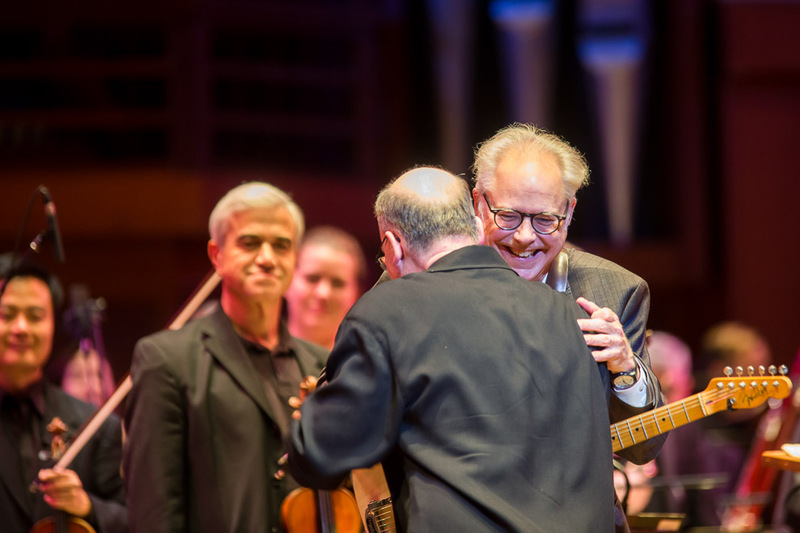 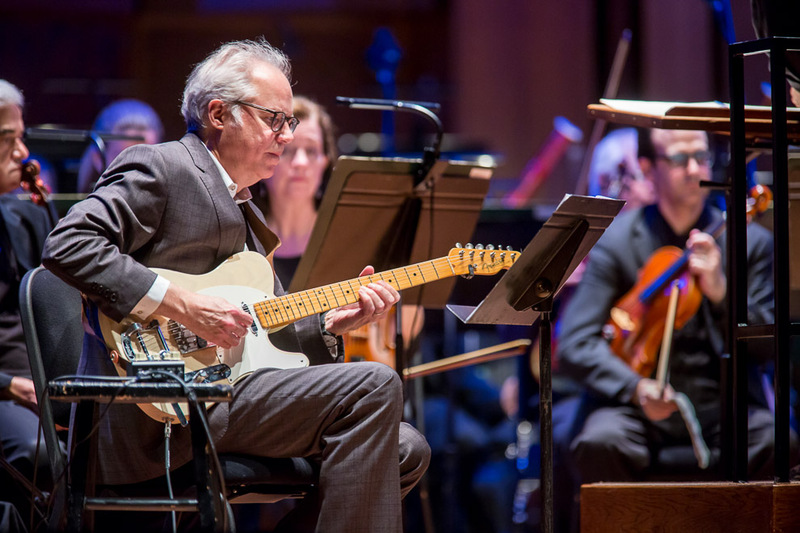 More influencing: the renowned jazz guitarist and Seattle transplant Bill Frisell, along with the Seattle Symphony Orchestra (directed by Ludovic Morlot), took on a wonderful new work by the prolific jazz pianist and composer Wayne Horvitz. 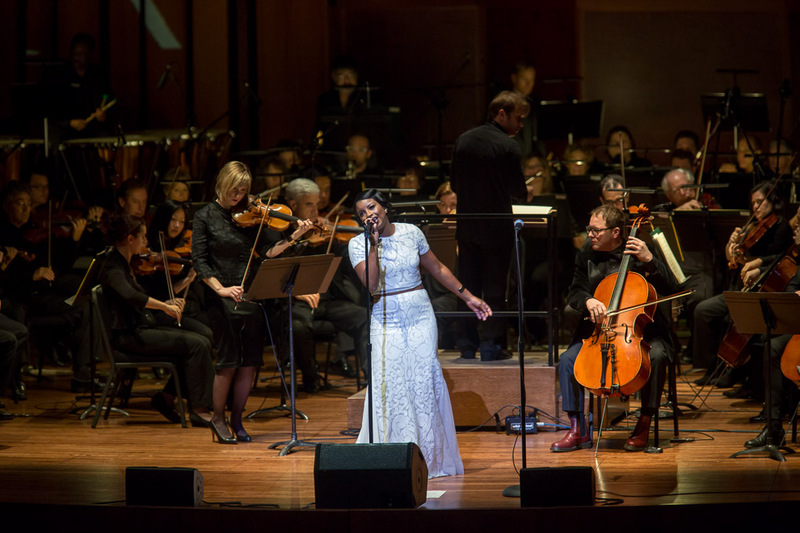 Seattle-born, nationally rising vocalist Shaprece closed the evening with new orchestral arrangements of her soulful blend of modern jazz, R&B and electronica. 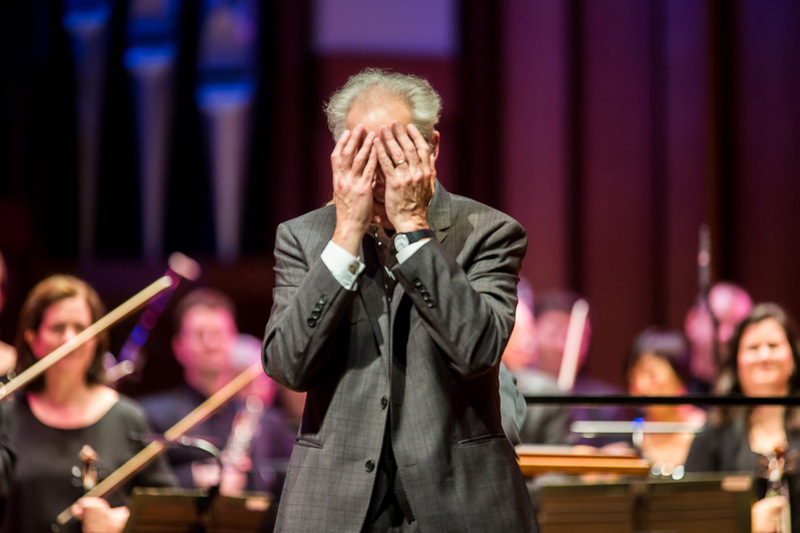 Presented by the Seattle Symphony Orchestra.